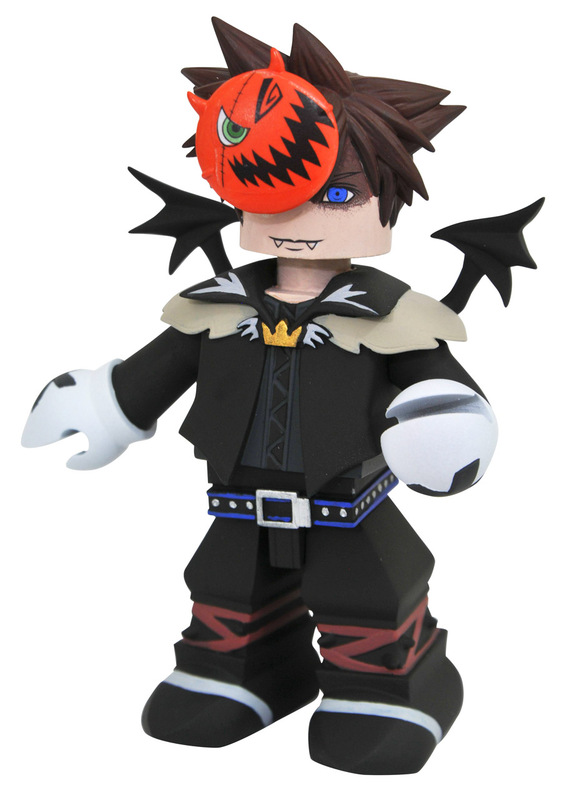 The adventure continues, as the stars of the Kingdom Hearts game series travel to Halloween Town! In the home of Jack Skellington, first seen in Tim Burton's The Nightmare Before Christmas, Sora, Goofy and Donald each don a fantastically nightmarish costume, and now each is a Vinimates vinyl figure! Sculpted in the block-figure style, each 4-inch vinyl figure has a ball-jointed neck for additional posing options. Each comes packaged in a full-color window box.